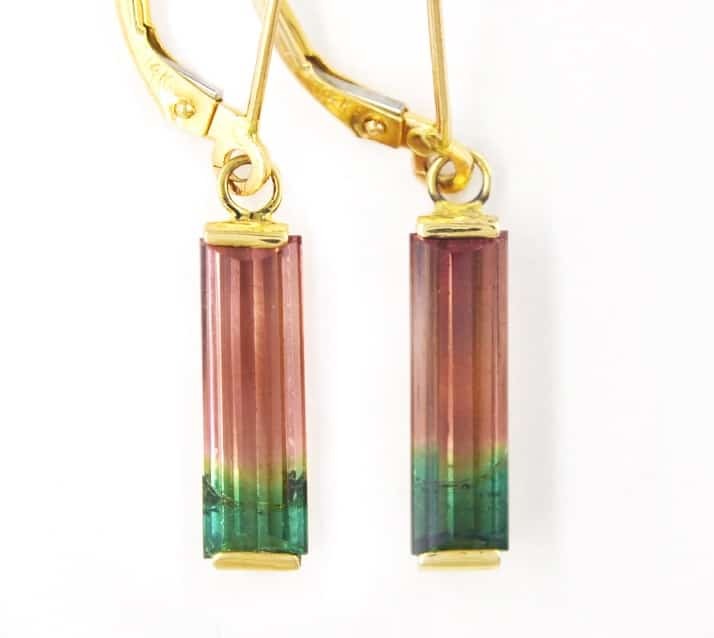 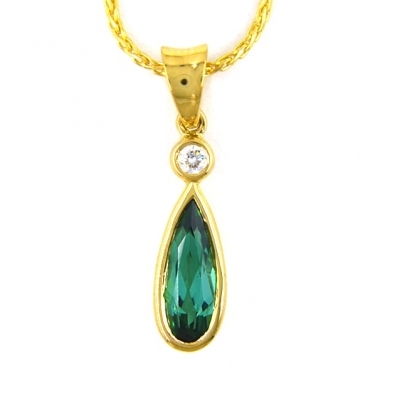 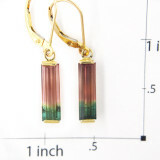 Watermelon tourmaline leverback drop earrings set in 14k yellow gold. 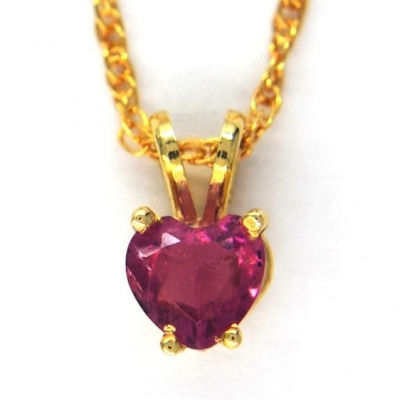 Stones: 6.3ct. 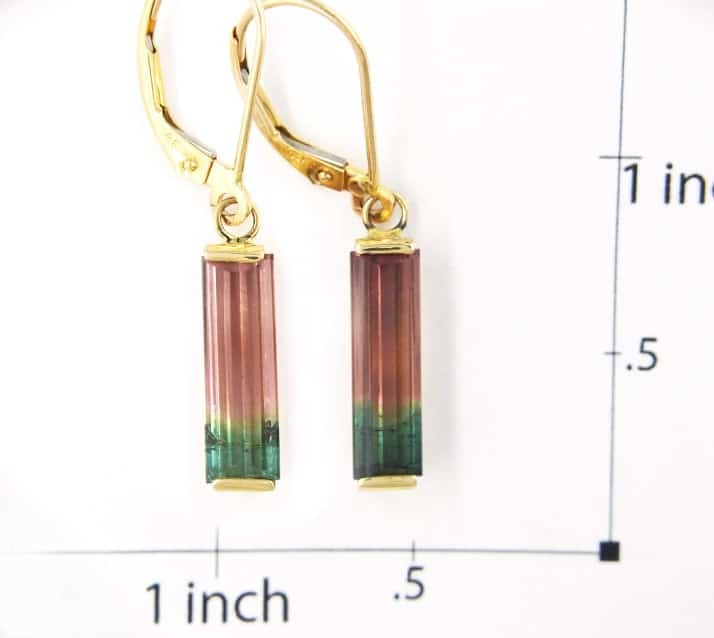 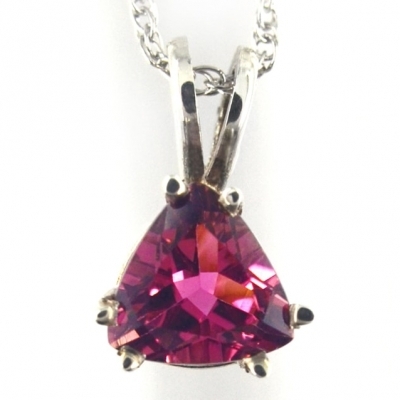 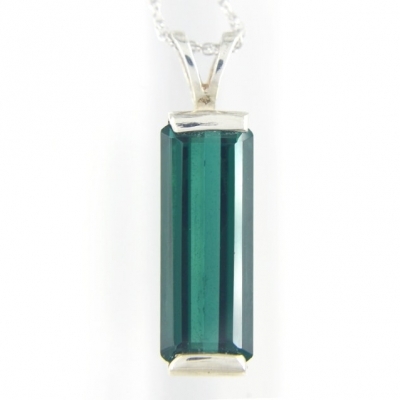 Watermelon Tourmaline as shown.